Thanks for the link to the service updates. 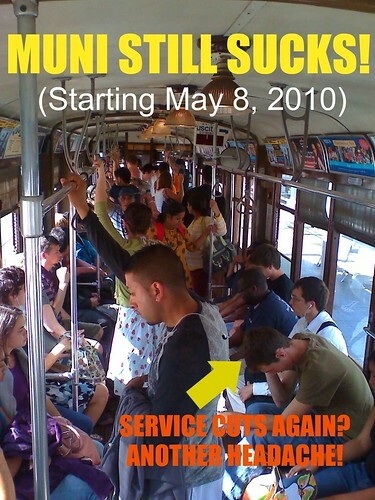 Is MUNI really replacing all weekend M line service with buses?? Seems like quite a waste of all those stations... and why would SF state lose out while other rail remains in service? I should have read it a little bit more. May 8th and 9th will be shuttle buses, then rail service returns temporarily until May 17th. On the 17th through the summer (everyday, including weekdays) is when the shuttle buses run all the time. Ah, I see... I forgot about the rail replacement project... that's somewhat of a relief knowing that Muni didn't just decide to cancel service.